Historic Preservation Program Requirements and Course Descriptions, 1981-Present. ​and the core curriculum courses offered each year over the last 35+ years. Historic Preservation Student Projects, 1970-2009. Research papers and projects created by students enrolled in historic preservation courses at Southeast Missouri State University. Papers and projects are individual and group projects primarily dealing with the history of properties in the region, including several National Register Nominations, and local history topics. 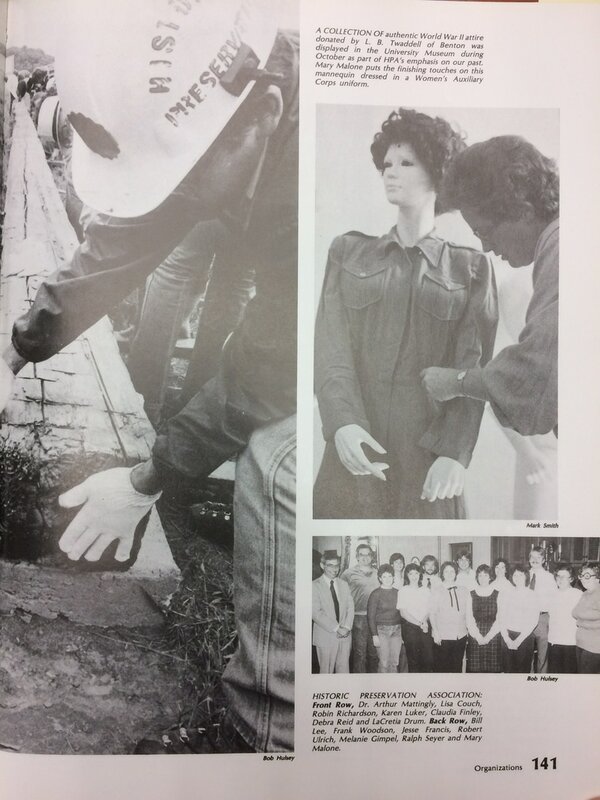 Historic Preservation Program Records, 1980-1994. Historic Preservation Association (HPA) Records, 1980-Present. Historic Preservation Alumni Chapter Records, 2016-Present. Chapter Constitution and Bylaws, and other records maintained by the HP Alumni Chapter. ​Also included are images of and contributed by HP alumni, for unlimited use in publication, with attribution. Sanilog, Southeast Missouri State University's Yearbook/Annual, 1983. 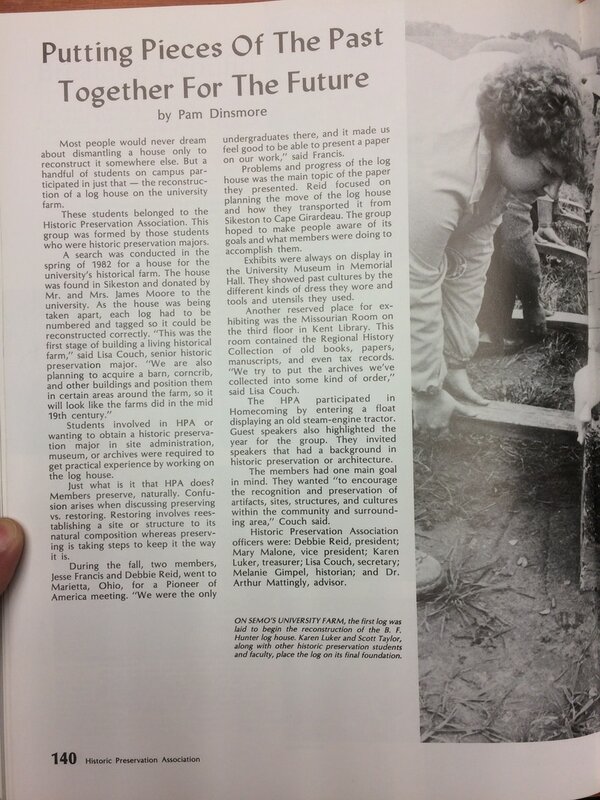 Department of History Newsletter, 1981-Present. No. 1 (August 1996) - No. 22 (December 2001).